Free Comic Book Day 2015!! 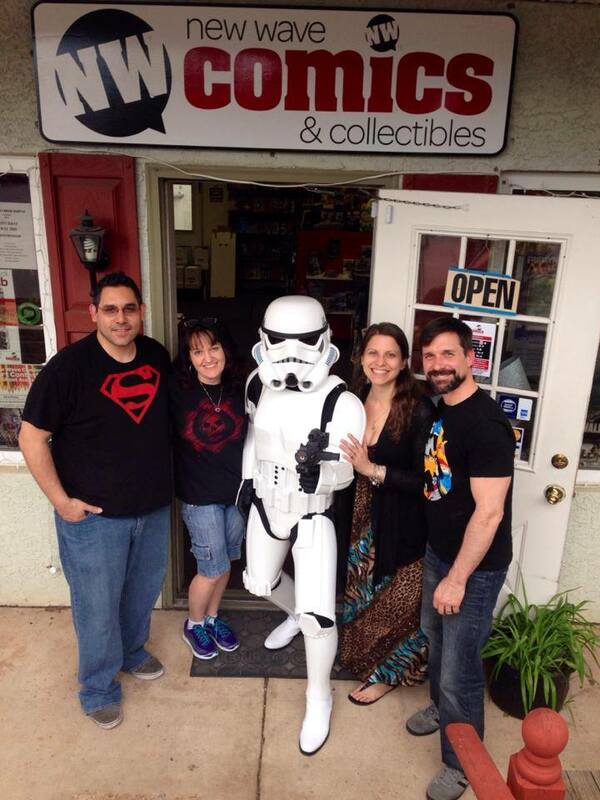 Our favorite Stormtrooper will be joining us again to celebrate our second Free Comic Book Day 😀 Please join us Saturday, May 2! Pick up your free comic book (a complete list is here, please note that not all titles will be available). Meet Marvel artist, Khoi Pham. He’ll have limited exclusive prints & limited free sketches, & will do commission sketches all day; details TBD. Free sketches for kids 13 & under by illustrator, Nicole Lombardi. Portfolio review for artists by Marc Lombardi of GrayHaven Comics. Local creators: If you’re interested in participating, please contact us at info@newwavecomics.net. Celebrate & discover the amazing world of comic books on Free Comic Book Day! Taking place annually on the first Saturday in May, Free Comic Book Day is a single day when participating comic book specialty shops across North America & around the world give away comic books absolutely free to anyone who comes into their shops!